Melody has her own gallery which she shares with husband and photographer David. 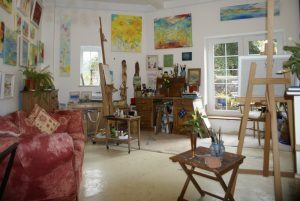 The gallery is situated on the High Street in Porlock and we aim to open Monday to Saturday 10m to 5pm or by appointment. Sometimes the conditions are right and we may go off on location, so the gallery may not open as expected, if you are travelling to see us please make an appointment so we can be certain of meeting you. At this time our gallery does not show on the map, but it is opposite The Royal Oak. Melody or David may be close by and can open when you call, but sometimes they are out on location and will need to make an appointment for another time.